We had a little break in writing – you might not notice but I try to write once a week and this time it’s little bit late, all because of taxes. SSN, ITIN, federal taxes, applying for working visa – all those things are coming this week and I pretty much hate them. But that gives me a chance to eat out more often with my husband and I love eating. Not love, LOOOOOOVE. As much as I love eating it’s always a lot of pressure for me – I’m stuck in our Western-Eastern relationship and when I’m eating in Western restaurants I have to remember all those savoir-vivre. When I go to Asian restaurants I have a need to do the same. Some of you might think ‘Why bother? They know you’re not local’, maybe it really doesn’t matter but my inner voice forces me to behave as proper as possible. I guess I was raised with that Chinese concept of ‘face’ (thank you, Dad) and I feel constantly judged, I really care about what people think of my behavior. Not to mention people close to me. Now you should realize how ‘fun’ family dinners are to me. You think that family meetings are bad? Try dining out with my father in law. He is like a walking stereotype of Cantonese guy, especially when it goes to eating. That’s the type of a ‘rice man‘ – that’s how I call him because for him the center of the whole meal is rice. If rice is not tasty, no matter how good other dishes are, he will dislike that place. He has one restaurant he eats in because he trusts their rice. Usually he’s very easy-going but mention food and you will see a different face. Even if he doesn’t say it out loud to you he will judge you. Everyone judges, but he is like supreme court of your Chinese table manners. He knows the rules you cannot so easily Google and he used to beat my husband’s hand with the chopsticks if he didn’t behave. I’ve also noticed older my husband gets more he becomes like his father and he enjoys telling me how to behave. I guess I have a 3rd Daddy (after my real dad and father in law) to teach me some good manners. To save you all the stress I had to go through and to give you a chance to surprise/impress your partner’s parents/landlord/friends etc. 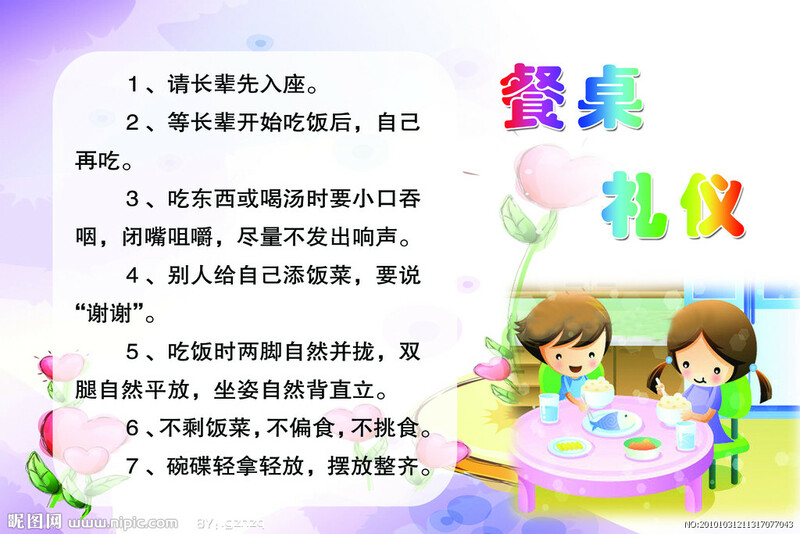 we made a list of things you should remember while dining with Chinese people but you might not know them. You know that you should not play with your chopsticks like it were drumsticks but you shouldn’t also spin them around. It’s not TWISTER game. You share your food with others so instead of using your own chopsticks use ‘public chopsticks’ (beautiful phrase made up by WahWah) – they are mouth-water free and let’s keep it that way. Don’t shake your chopsticks if they are wet from soup. I never seen that thing happened in real life but WahWah is more experienced and I wouldn’t be surprised if that happened to him. Make sure your chopsticks have exactly the same length. 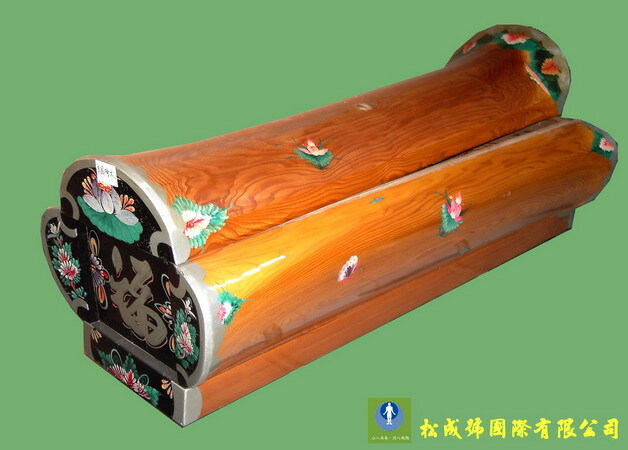 You probably heard about this before but I just wanted to mention it so you can realize why you shouldn’t – 三長兩短, traditional Chinese coffins are two short pieces of wood in front and 3 long on a side so basically having one longer and one shorter chopsticks means you’re having coffin. Seems legit. Do not spin your table counterclockwise, always spin it to the left. I asked why and the answer was: most of the people use right hand so you can avoid hitting someone sitting next to you in the face. If you have a whole piece of food – for example a fish – the front of it should be facing the ‘most respectable’ person, then the oldest, then teacher and the guest – in that order. During toasting your cup should be lower than the host’s cup. I don’t know if that’s true but all the loud slurp you hear… is actually impolite. It’s OK for ‘small slurp’ when the dish is very hot, but making a ‘big slurp’ and adding ‘aaaahhhh’ at the end is seen bad. Is there anyone who can confirm this? That list is made with my FIL’s experience and advice – I cannot confirm if all of them are true, maybe something is consider polite in Cantonese part can be impolite at North, maybe it’s just what he sees as polite etc. If you disagree or have any comments feel free to post it! I don’t know if this is a rule, but the people I know often choose the nicest piece and put it on the plate of the person next to them. If they are older or of higher status, they might dish up choices pieces to several people on either side of them. Great post! Some of those rules I was not aware of, like the toasting rule. One important one that I see my western friends break all the time (resulting in me admonishing them) is using their bowl of rice as a chopstick holder by sticking their chopsticks in it. Big collective Gaasp!! from everyone around the table. Chopsticks stuck upright look like incense sticks associated with funerals and the dead, a big no-no and very taboo. The slurp sound is terribly annoying but unavoidable… at least in China mainland hahaha. I see the “not to dos” Chinese people do in Shanghai on a daily basis. I actually saw a Chinese woman use her chopsticks as if she was trying to create fire. My husband said that what she did was terribly rude. I can’t exactly explain what she did but it was an eye sore. I’ve also seen people stick their chopsticks in food like incense. On a daily basis and none of them were foreigners. “Don’t flip the fish.” When we lived in Dalian (on the coast of Liaoning Province) we often ate fish. A whole fish, sitting in the middle of the table. It was easy to eat the flesh on top of the fish, but how do you get to the flesh underneath the bones? In the UK I would just flip the fish over, but we learned that Dalian people consider it bad luck. Turning over the fish might bring bad luck to people out at sea, causing a fishing boat to capsize. Has anyone else heard this superstition? Interesting! some manners are same as japan. but, a fish head should be left and the left side should faces to you in japan. When eating with Chinese people I’m often afraid to offend someone in some way or another. Why do they have so much rules? I didn’t know all the rules you listed. I’d better learn them before eating with a Chinese person again. Interesting to read. In all my visits to Mainland China have eaten maybe three times rice in the restaurant. No matter what restaurant we visit, no one orders rice, everyone seems happy with the dishes and in case there is rice provided, barely anyone touches it. Also the table was “used” in both direction, clockwise and counter-clockwise and I have never seen those public chopsticks. oh geez, that’s plenty to live by. although many are quite common sense. well, in my chinese upbringing, at least. one thing for sure, i’m never allowed to have my chopsticks stand upward in a bowl of rice, depicting incense sticks used to pray for the dead or the gods. I wish I’d had these rules on hand before dining in China. I’ve heard of turning over the cooked fish and that it’s not just been believed to capsized a boat, some business partner may be particular as it may indicate that you are “capsizing” the business. I previously worked as a waitress in Chinese restaurant during school holiday and we have to remove the bones for the customer without turning over the fish. Some Chinese only abide to it during Chinese New Year and Wedding dinner but will flip the fish over for easy eating during normal days. For my family, we don’t really care and we don’t have such superstitious. It really depends on individual and it’s alright to check with the host what is their comfort level. What do Chinese people make of those who use knives and forks (or the big soup spoon) rather than chopsticks? Is that the sin of all sins? 🙂 Thanks! These helpful hints are sure to come in handy! Quite interesting to read. Growing up in the San Francisco Bay Area and then living in Hong Kong, I was exposed to lots of these through my friends. Didn’t ever hear about the chopstick length issue, though. Interesting read! Thanks for the info. The only one I was aware of was the one about not touching the food while someone is still taking the food from the table! In US, it is considered bad manners to reach across someone to get food, to crush out your cigarette in your used plate, to slurp, burp or smack during eating and to pick your teeth at the table. As probably in any country – good table manners are slowing disappearing. How disappointing. Sounds like good table manners might be disappearing with some ethnic Chinese. And it depends on the social-income class too. I am not surprised about the uneven chopstick use –it’s just common sense! Yes, no drumming with chopsticks or playing with them. It’s like playing with your dinner fork, knife or spoon. For public chopsticks, I often see people just flip their chopsticks and use the top, clean ends to pick at food slices from a shared table dish. You’re supposed to try to pick the slices of food in front you from the collective large dish of food. Try that first, before horning in one someone else’s territory. I have never seen someone order “public chopsticks” in a restaurant in Mainland China, but one of the doctors here has advised me not to eat out beccause of being pregnant and having a low immune system – I wonder if she was meant that I shouldn’t share germs with other people (or rather they with me) when eating from the same plate. If only more people thought slurping was impolite. I have the feeling that it’s the other way around – that it’s considered polite, showing your host that you like the food. Sth I personally can’t get used to (which would be very rude in my own culture) is people talking while chewing their food at the same time (parents always tell kids in Austria that they shouldn’t talk while eating). Chinese table manner is very important in China. In my hometown (Shandong), older people would use their own chopsticks got food from plates for guests for younger children. That behave is not considered as impolite, instead, it is a way for them to express their welcome or love. Another way that they express themselves is they would ask you to eat a lot food until you really get full. I don not want to judge if Chinese table manner is good or not. If it is the cultural, then it is there. 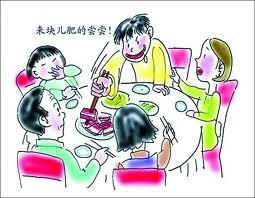 Don’t talk while eat is also important in Chinese table manner. Another one is don’t put chopsticks on upright in your rice or noodle because that relate to death. I found out western table manner is very strict too, such as don’t put elbow on the table or close your mouth while chew food. Sometimes I think there is a perception among westerners that chinese people are impolite and don’t have any table manners. But this is extremely misguided and based on an assumption that our rules of politeness are universal. I too was guilty at first of having assumptions like this when I first came to Hong Kong, until I realised that with different cultural practices, and different forms of cutlery, different rules arise. For example its okay to slurp up noodles because with chopsticks you don’t have much choice. But with spaghetti you are expected to twist it around the fork, using the spoon. As much as I’m put off by certain chinese eating habits, I’m sure they’ve looked at mine with horror on occasions. From my British perspective I think each culture is just as concerned with table manners, but the forms these take vary wildly. Those are pretty standard rules although like you, I have never seen that rule about shaking wet chopsticks but I guess you father-in-law knows more since he’s lived there all his life. I always eat with Austrian table manners in HK (eat silent, must not smack, don’t talk while eating) and am always asked by my HK familiy if I do not like the food. Also do I eat so slow that Gonggong always complains that that’s the reason why I am so skinny. ._. Eating out with family is really stressful for me in general. I always put food in my bowl I do not eat anymore so just they won’t force me to eat more. That normally works most of the time, and I fake “eating”. Lady, with all due respect and apologies up front, but Asians (2-3 generation) have the utmost disrespectful table manners I have ever encountered in Western terms. Without a doubt, I have noticed that a majority are eating with their mouths open, slurping, and masticating extremely loudly. It is like table manners are not taught in these cultures. Knowing that misophonia is a global issue, it should be on the forefront of the first generation immigrants to teach their kids proper Western behaviors and that means table manners! My gosh…. Neutral reply to an edgy but truthful post by me. Thanks. Nevertheless, it is a good rule to leave nationalism and culture in our homelands and adopt your new countries’ traditions. And again, it (bad table manners) is generally quite disturbing for ALL people, especially the 20% of the World that has a sensitivity towards loud masticating.